"ดวงมณีนี้ เจ้าจงรับไปและรักษาให้ดีต่อไปภายหน้า จะได้เป็นพระพุทธสาวกหน่อเนื้อพระชินวร เพื่อสืบพระพุทธศาสนา เป็นเนื้อนาบุญ ที่พึ่งของสัตว์โลกทั้งปวง"
" เทว เม ภิกขเว วิชชา ภาคิยา"
พิจารณาว่า เรามีกรรมเป็นเรื่องธรรมดา เรามีกรรมเป็นของตนเอง เรากระทำความดี จักได้ดี เรากระทำความชั่ว จักได้ชั่ว"
หลวงพ่อคูณสั่งว่า เมื่อมีพระเครื่องของหลวงพ่อคูณติดตัว ให้ภาวนา "พุทโธ"ทำจิตให้เป็นสมาธิแน่วแน่ ละเว้นถ้อยคำด่าทอ ค่าพ่อแม่ตน และพ่อแม่บุคคลอื่น และอย่าผิดสามีหรือภรรยาผู้อื่น ให้สวยมนต์ก่อนเข้านอนทุกคืน ไม่ว่าจะอยู่ที่ใด และหวงพ่อคูณย้ำว่า "ถ้ามีใจอยู่กับ พุทโธ ให้เป็นกลาง ๆ ไม่สอดส่ายไปที่ไหน นั่นหมายความว่า ใจเป็นสมาธิ จะช่วยปกป้องคุ้มครองเราได้ดียิ่ง...ยิ่งกว่ามีวัตถุมงคลใด ๆ ในโลก"
Luang Por Koon was borned on Thursday, 4th October BE2466. He was raised in a well off family. His grandfather was an influential person and very well-known in Nakon Raatchaseemah province. He also known to have Wichah (magic power), and many people were afraid of him. When Luang Por Koon was 7 years old , his grandfather brought him to study Thai and Pali under Ah Jahn Cheum, Ah Jahn Saai and Pra Ah Jahn Lee in a temple near his house. Luang Por Koon was ordained as a monk at the age of 21 years old at Wat Thanon HakYai on 5th May BE2487. Pra Kru Wijahn Dtigit was the preceptor. Pra Kru Atigahn Torng Suk was his dhamma teacher. His monk's name is Pisuttoh. Luang Por Koon stayed in Wat Thanon HakYai to study dhamma, in addition Luang Por Koon also learned under Luang Daeng Wat Nong Poh. 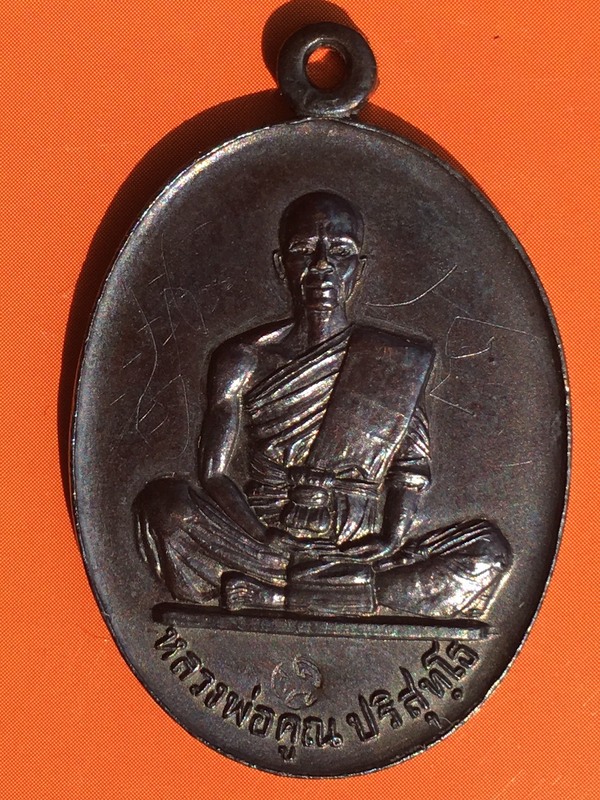 He learned dhamma, sammahdti and Wichah (magic) from Luang Por Daeng. Luang Por Koon was very diligent when studied under Luang Por Daeng. Seeing that Luang Por Koon was so keen in learning, Luang Por Daeng brought Luang Por Koon to meet Luang Por Kong who was the abbot of Wat HatYai. Then, Luang Por Koon became the disciple of Luang Por Kong. Luang Por Kong was a Pra Tudong (forest monk) and brought Luang Por Koon to Tudong (forest dwelling). Besides dhamma and sammahdti, Luang Por Kong also taught Luang Por Koon Wichah (magic) on inserting takrut into a person's arm. After learning from Luang Por Kong for some time, Luang Por Koon went Tudong alone. He went as far as Laos and Cambodia. He stayed in the deep forests of Laos and Cambodia for many years. During the rainy season, if Luang Por Koon was near town, he would stayed in any one of the temple near town to Khow Pansah (rainy season for a monk to stay indoors), if he was still in the forest, he would stay in the forest and continue his Tudong. Luang Por Koon returned to Thailand after more than 10 years of Tudong, and reside at Wat Bahn Rai, Nakon Raatchaseemah. The first time, Luang Por Koon came to Wat Bahn Rai, the temple was in bad condtion. There was only a old Salah (shether), Bot (hall) and Guti (place where Buddha Statue will be placed). Luang Por Koon seeing that was determined to re-build this temple. He approached the abbot of the temple at that time, and asked him for his help. The abbot told him that the temple did not have much fund (only 10,000 bahts) and asked Luang Por Koon how much money he needed to re-build the temple. Luang Por Koon replied that he needed 3 to 4 million bahts. When the abbot heard that, he said that he had no ability to help, though it was his duties. Luang Por Koon, then asked the villagers and his lay disciples to source for fund. Many people came forward and helped. The total fund collected was almost 2 million bahts and Wat Bahn Rai was re-built. Luang Por Koon was gradually gaining popularity in Nakon Raatchaseemah. Whenever, people heard Luang Por Koon wanted to build a temple or a school, many people would come forward to help. Luang Por Koon had built many schools, temples and hospitals in Nakon Raachaseemah. The devotees who go to Wat Bahn Rai, be it rich or poor, Luang Por Koon will meet them personally and bless them. He would specially make time for the poorer devotees, because to Luang Por Koon, the poorer devotees need to earn a living, and thus their time is more precious comparing to the richer ones who had already have a stable livelihood. 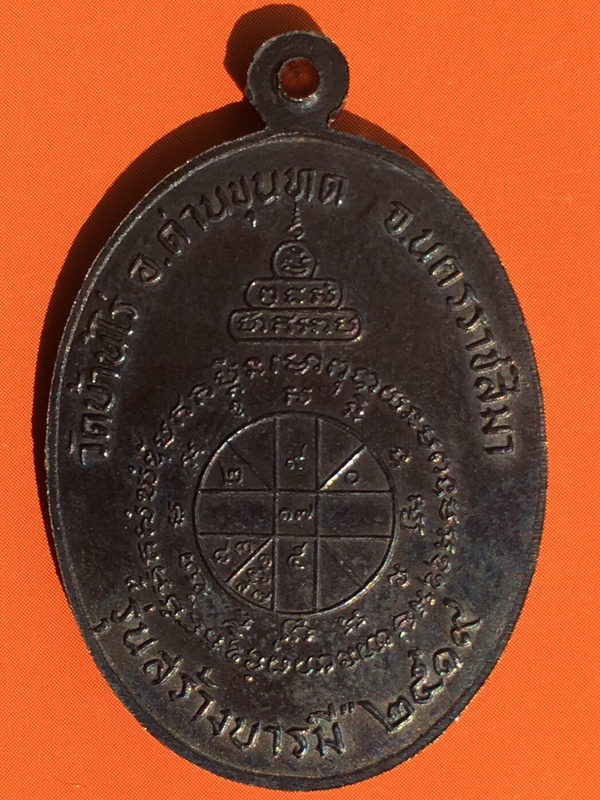 Luang Por Koon chanted the most amulets in Thailand. Many temples and people would create the amulets and asked him to bless. He seldom rejected anyone when come to him for blessings. Luang Por Koon is very good in the Wichah of inserting takrut. He would personally insert the takrut under the arm of the devotees, these takrut are very well proven to protect a person from accidents, Metta and as well as Kong Grapan (immunity from weapons).Almost 20 years, Luang Por Koon had chanted and inserted takrut, but now Luang Por Koon had stopped due to poor health. 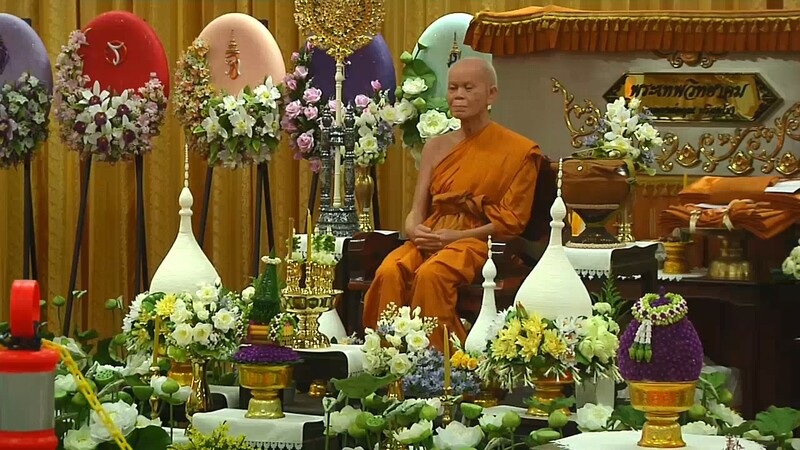 However, he will still meet and bless the devotees who go to Wat Bahn Rai to pay respect to him.